The RMT Union, headed by Communist Bob Crow, is threatening to disrupt rail services to Walthamstow today in an attempt to prevent EDL supporters attending a demo that will be using Kings Cross Station as a rendezvous point from 11:00 this morning, with the original plan having been for all to set off from their for their destination at 1:00 this afternoon. However, the details on the EDL forum are no longer accessible to those who do not have an account, so I cannot confirm whether or not their plans have changed as a consequence of the threats. The decision to make the forum accessible to members only seems to be a very sensible precaution, and for all I know, measures have been put in place to outwit the RMT. 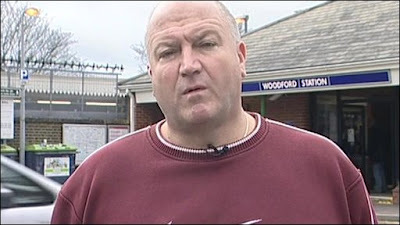 Now the rail workers’ RMT union has said that in its view the EDL presents a “serious and imminent risk” to staff and passengers, and that its members are justified in refusing to work under these conditions. RMT London political officer Unjum Mirza spoke to Socialist Worker earlier this week about the bitterness towards the EDL among King’s Cross railworkers. Last year the RMT engaged in similar disruptive activity in an attempt to prevent EDL supporters attending a demo in Tower Hamlets. Although trades unions are part of a normal and healthy political culture, they should limit their activities to ensuring that their members' terms and conditions of employment are reasonable and capable of providing a living wage. It is not the business of overly politicised senior trades union officials to abuse their positions to forward their own pet political obsessions, such as disrupting democratic and legal political protests because they happen to disagree with the views of the protesters. It is not clear whether Unjum Mirza's objection to the EDL springs from his Islamicity or from any adherence to revolutionary socialist doctrine (it could well be a combination of both), but it should not be in his gift, or that of anyone else, to attempt to prevent a peaceful legal protest from taking place. It's not bad, is it? Quite a tidy sum. I must admit that Crow does not look the friendliest of chaps. Do you think he may have been asking the photographer: "Did you spill my pint?" Time to cast off "The White Man's Burden"
Plaid Cymru and Welsh Devolution: Good for Wales?